Of the six biggest cities in Canada, Calgary has the most productive workforce with the highest personal income and the greatest purchasing power. The city offers a lower cost of living (compared to those of Toronto and Vancouver), the second lowest unemployment rate (2012) and the second highest total retail sales growth over the past 10 years. In today’s dramatic global economic landscape, Calgary offers investors and businesses one of the strongest performing urban economies. The economy of this Canadian powerhouse has grown faster than any other major city in Canada, with the highest average annual GDP growth and second highest total GDP growth in the past decade. Calgary Economic Development does not expect these positive trends and strong economic growth to slow down any time soon. Calgary Economic Development continues to work with businesses, government and community partners to attract more business investment, foster trade and entice a skilled workforce — simply position Calgary as the location of choice for people and business, and invite them to become part of the energy. The Canadian Business Journal sat down with Bruce Graham, President and CEO, discussing Calgary Economic Development’s mandate and its current efforts to position Calgary in front of businesses in Canada and worldwide as the place to invest, and in front of a suitable workforce as a place to work, live and thrive. “Over the past 10 years, Calgary Economic Development has been working to position Calgary as a business centre for Western Canada and more recently, globally. Calgary is Canada’s energy headquarter city and a growing global business centre. 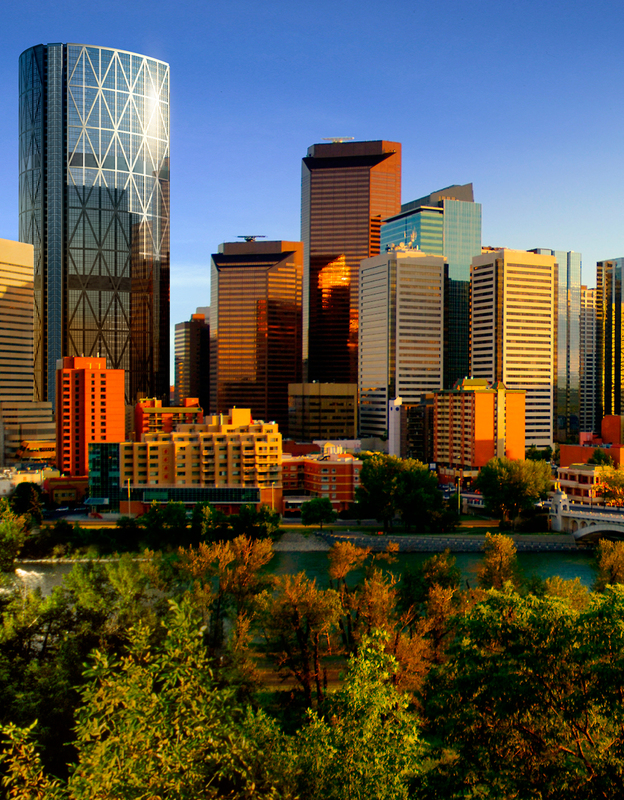 We had 55 per cent growth in business head offices moving to Calgary. Out of the FP500, 136 companies are headquartered in Calgary, with 75 per cent of these with interests in energy. “Calgary truly emerged as an international business centre — a growing global financial centre, headquarters centre, and engineering and procurement centre for energy and resources in Canada. There has been tremendous interest from the Asia Pacific region. We noted more than $50 billion in investments in local companies over the past three years alone. Virtually all that money comes [to Alberta] through Calgary, and gets invested in local companies that deploy these investments in the energy sector — pipelines, shale gas plants, oil sands development, etc.,” says Graham. “As an economic development corporation, I think it’s important to mention that we are funded in a unique way. Outside our base grant from the City of Calgary, nearly 40 per cent of our programming revenue comes from the corporate community. We have 66 partners that support Calgary Economic Development. We started our Action Calgary corporate partnership program two years ago and it turned Calgary Economic Development into a multi-stakeholder organization. This effectively influences our programming, our focus and our development,” says Graham. LiveinCalgary.com, an one-stop resource for people considering moving to Calgary, as well as community economic development initiatives such as the Soul of the City speaker series, explore what makes Calgary a great place to live and what makes people attached to their city. Graham notes that workforce availability is one of the ongoing issues in Calgary and the province, and that the workforce shortage effectively impedes the economic growth. “Business is not going to invest unless the cost of doing business is reasonable,” says Graham. Calgary Economic Development plans to continue and reach out into the Canadian and global communities to support in-migration. The city attracted 30,000 people in 2012, and Calgary Economic Development’s goal is to further foster this positive trend. In an ongoing effort to attract labour to the city, Calgary Economic Development worked with the city’s other promotional agencies to create a new destination video for the city called Right Here. This video will be used internationally to broaden people’s perceptions of Calgary through the Be Part of the Energy campaign, with an ongoing focus to attract skilled labour to Calgary. But labour shortage is only one of the issues that the city faces. The city’s prominence has grown in terms of being a sophisticated global city, and an international financial and business centre. To attract and retain more national and international businesses, Calgary Economic Development also focuses on continuous improvement of the quality of life. “We take great effort to identify the quality of life advantages Calgary offers today,” says Graham. Building off the strength of the energy industry, Calgary offers a whole gamut of diverse industries and Calgary Economic Development continues to focus on overall industry diversification within the city. Due to its strategic location, the city is a growing transportation and logistics hub for retail businesses in Western Canada. Calgary and Alberta’s creative industries are well positioned to be world-class and Calgary becoming an increasingly prominent filming destination with more and more Oscar, Golden Globe and Emmy nominations that any other jurisdiction in Canada. and sound stage. As a city we have a diverse business landscape that goes beyond the energy sector,” says Graham. Calgary Economic Development continues to organize trade missions across Canada and worldwide. 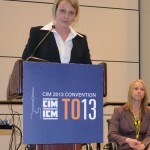 In April, Calgary Economic Development followed the Canadian federal mission to China. “We see a great business and investment potential coming to Calgary and Western Canada from China. We are planning an international conference on social enterprises in the fall. We embarked on community commerce roundtables which helps companies identify socially and environmentally sustainable suppliers for products and services, and also built community capital networks as a way of finding investment opportunities in the green business space that grows in popularity as an investment. I think this whole area of exploration is very unique to Calgary Economic Development,” says Graham. With the global interest in Canadian energy, Calgary became the centre of the lens in many an eye nationally and internationally. Calgary Economic Development represents the business catalyst, the positive change, the conduit, the connector and the tap that pours fuel into the fire of Calgary’s economic vitality and business growth.